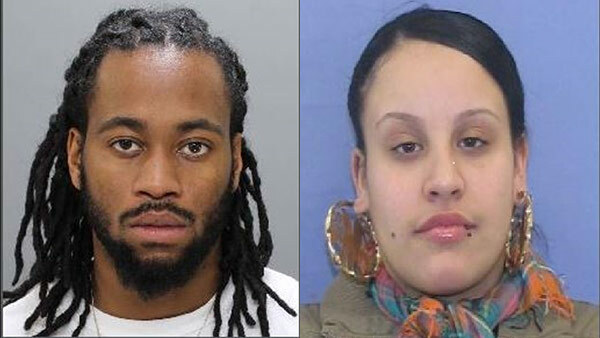 Robert Lee Randolph, 31, and Maria Teresa Lebron, 29, are wanted federally for unlawful flight to avoid prosecution in connection with a double murder. PHILADELPHIA (WPVI) -- The FBI is searching for a Philadelphia couple wanted in a double murder in California last year. Robert Lee Randolph, 31, and Maria Teresa Lebron, 29, are wanted federally for unlawful flight to avoid prosecution in connection with the October 2016 crime in Sonoma County, California. The Sonoma County Sheriff's Office says on October 13th, Randolph and Lebron flew from Philadelphia to the San Francisco International Airport. They rented a Hyundai Sonata and spent several days in the Bay Area and Sacramento. Authorities say one of the homicide victims, John Jessie Mariana, was also from the Philadelphia area. They say Mariana arranged a large marijuana transaction with Randolph. Randolph and Lebron allegedly met with Mariana on the evening of October 15th and Mariana took them to the home of the second victim, Nathan Proto. They stayed for approximately one hour. Authorities say during the meeting, Randolph produced a handgun and shot Mariana, Proto, and the third victim. Marian and Proto were fatally shot. The third victim was seriously wounded. They say Randolph and Lebron then took a large amount of marijuana and cash from Proto's home and fled in the rental car. Authorities say Randolph and Lebron left the San Francisco Airport on October 17th and flew back to Philadelphia. Their last known address was on the 3200 block of F Street. The FBI says the couple also has ties to New Jersey. Anyone with information should call the FBI at 215-481-4000. Randolph is described as 5'8 tall and 160 pounds. His hair may be shorter than pictured. Much of his right arm is covered in tattoos; he also has "Only God Can Hold Me" on his left bicep, and a large winged creature inked on his back. Lebron is described as 5'3 tall and 140 pounds. She sometimes wears glasses, and has a number of tattoos on her chest and arms. There is a reward for their capture. Anyone with information should call the FBI at 215-418-4000.